Chronic illness and pain are now, more than ever, seen asas major problems in the current health care system. Because they are unresponsive to both antibiotics and surgery, theyr are seen as elusive and mysterious. The National Medical Expenditure Survey estimates that over 80 million U.S. citizens live with a chronic illness. The most prevalent are arthritis, diabetes, respiratory diseases, hypertension and mental illness. 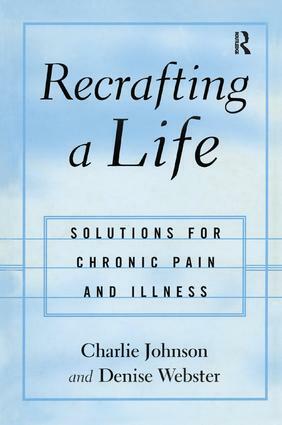 This book uses the novel Robinson Crusoe as an archetypal metaphor for the patients who must learn to survive on their own isolated "island" of chronic pain. This unique style is combined with a variety of in-session approaches and other tools which clients have found helpful in identifying their goals and progress. By emphasizing the importance of self-care the authors hope to diminish the sense of helplessness felt by the both the patients their loved ones.